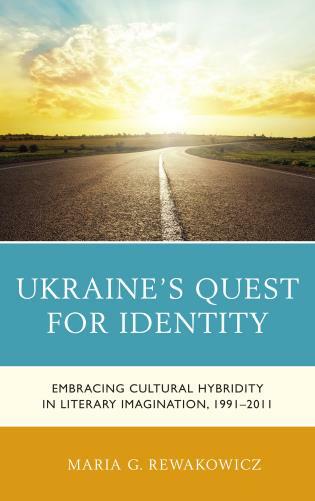 Ukraine's Quest for Identity: Embracing Cultural Hybridity in Literary Imagination, 1991–2011 is the first study that looks at the literary process in post-independence Ukraine comprehensively and attempts to draw the connection between literary production and identity construction. In its quest for identity Ukraine has followed a path similar to other postcolonial societies, the main characteristics of which include a slow transition, hybridity, and identities negotiated on the center-periphery axis. This monograph concentrates on major works of literature produced during the first two decades of independence and places them against the background of clearly identifiable contexts such as regionalism, gender issues, language politics, social ills, and popular culture. It also shows that Ukrainian literary politics of that period privileges the plurality and hybridity of national and cultural identities. By engaging postcolonial discourse and insisting that literary production is socially instituted, Maria G. Rewakowicz explores the reasons behind the tendency toward cultural hybridity and plural identities in literary imagination. Ukraine’s Quest for Identity will appeal to all those keen to study cultural, social and political ramifications of the collapse of the Soviet empire in Eastern Europe and beyond.